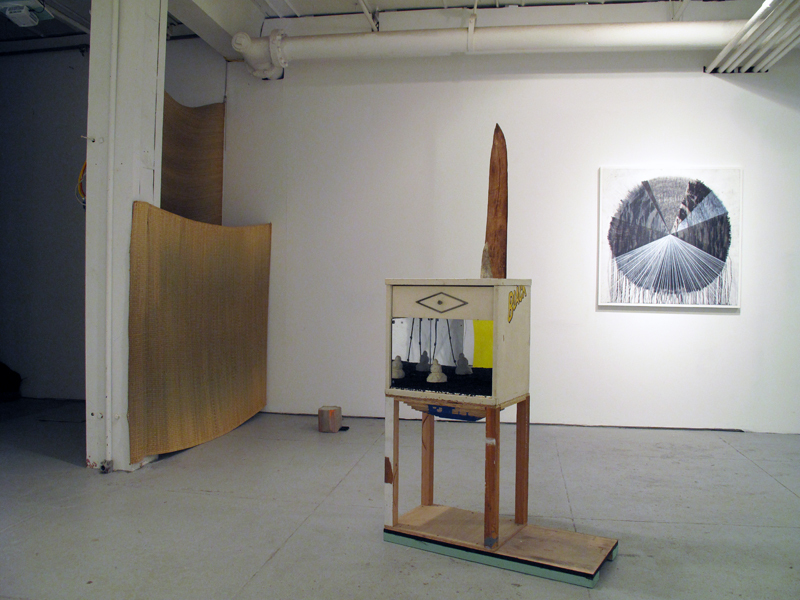 Everything in Moderation - curated by Melissa Hopson - January 30th - February 28th, 2010. Added on January 10, 2010 by Mitchell Wright. Enough of the conventional unconventional lazy art. Enough of the bombastic art-factory objects. Away from the artist-manager and artist-genius. Enough of the art institution template that plugs the artworks into allocated cells. The material search, hand – material connection, uncomfortable and counter-intuitive, new Romanticism and witty sense of humor – all create paths away from the numerous beaten tracks. One does not need to shout in order to make a statement. 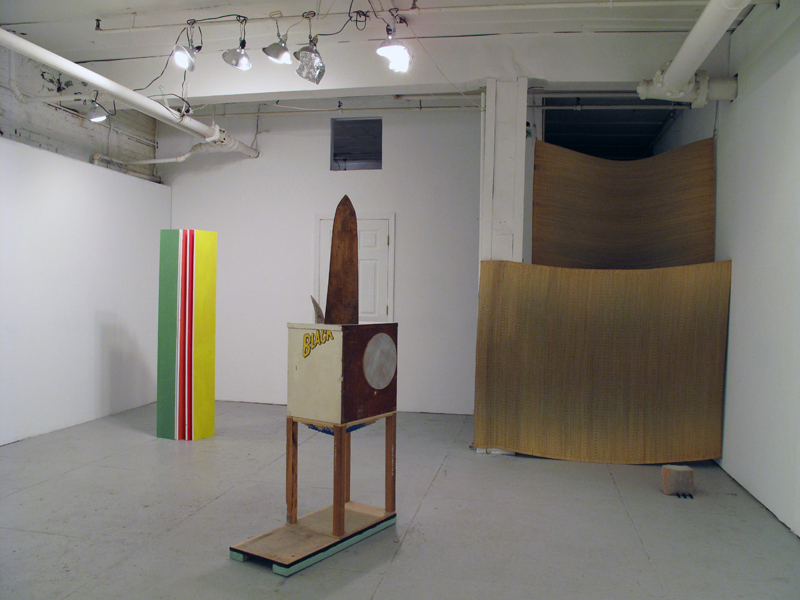 106 Green is pleased to present Everything in Moderation, a show curated by Melissa Hopson. The exhibition features six young artists who work with oil painting, sculpture, digital print, and drawing and explore fragmentation and the mixing of mediums. They take the silent artistic materials, arrogant minimalist form, and ubiquitous readymade and self-centered narrative of “identity” out of their dead ends and give them character, agency, and personal meaning. Aware of the polarities of art-factory commercial product and ephemeral practice, these artists are interested in artistic object with all its unique and generic qualities. “Moderation” in this case is not escapism or lack of courage, but rather a desire to avoid pre-established strategies, to approach artistic practice as exploration and search. This principle allows for the fulfillment of art’s principal function – bringing into being something that has not existed previously rather than reiterating the existing world. In her drawings, collages, and sculpture, Davina Semo returns the deeply human metaphysical element to abstraction, giving experiential meanings to the cold geometric form. The narrative, story-like titles she gives to her works become part of strategy. Eric Palgon turns painting “inside out” by putting the frame on the front of canvas and letting the images grow and spread. 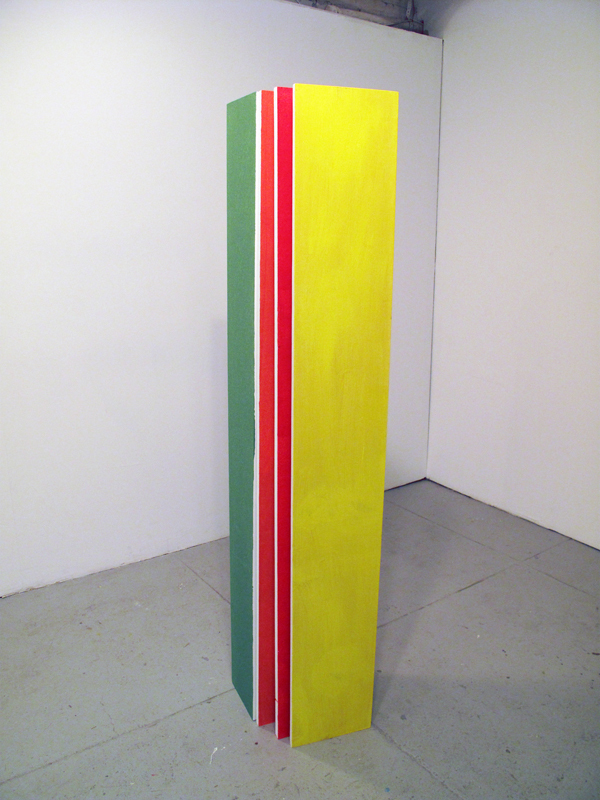 Painting thus ceases to be the “window into the world” and oscillates between sculpture and image. Sonja Engelhardt breaks down artistic objects into texture, line, proportion, material, and visual gestalt. Her sculpture mimics the white wall and engages with architectural space, while in her prints, the background and artistic mark switch places, producing subtle poetic work. Melissa Hopson, an artist interested in issues of cultural accumulation and archeology, creates abstract objects as complete as if they were functional things from another world. Her sculptures are artifacts dug from the future. Esther Kläs engages European and US modernism and minimalism by taking away their sleekness. Putting her sculptures on a pedestal, she elevates them to the status of animate characters, albeit sleeping and awaiting interaction with the viewer. In Nathan Gwynne’s work, culturally charged generational narratives and “cult” music re-emerge as distinct, formally engaging objects. The artist’s detached and blasphemous view turns The Kiss and Barry White LPs into sea buoys, or pairs a drum with a night table or police barricades. Everything in Moderation presents a unique opportunity to see the works of an international group of young artists already exhibited in Europe and the US, and the recipients of various professional awards, who are at the start of their careers. For more information on the show, individual works, and artists, please contact Melissa Hopson at doderecho@gmail.com. Sonja Engelhardt. Born 1975 in Mönchengladbach, Germany. Studied in Düsseldorf Kunstakademie, received academic diploma from Academy of Media Arts in Cologne, Germany in 2006. Currently working on her MFA degree at the New York University. Lives and works in New York City. Nathan Gwynne. Born 1979 in Santa Rosa, CA. Received BA degree from Stanford University, CA in 2001. Studied at Universität der Künste, Berlin, Germany. Graduated from Hunter College, NY in 2009 with MFA degree. Lives and works in Brooklyn, NY. Melissa Hopson. Born 1981 in Muskogee, OK. Received academic diploma from Düsseldorf Kunstakademie in 2008. Lives and works in Brooklyn, NY. Esther Kläs. Born 1981 in Mainz, Germany. Received academic diploma from the Düsseldorf Kunstakademie in 2007 under Georg Herold. Currently working on her MFA degree (2010) from Hunter College, NY. Lives and works in New York City. Eric Palgon. Born 1982 in San Jose, CA. Received BA degree in Visual Arts from University of California, Los Angeles in 2004. Studied painting in Düsseldorf Kunstakademie. Graduated from Columbia University, NY in 2009 with MFA degree. Lives and works in New York City. Davina Semo. Born 1981 in Washington, DC. Received BA degree in Visual Arts and Creative Writing from Brown University in 2003, and MFA degree from University of California, San Diego in 2006. Lives and works in Brooklyn, NY.